Nothing represents setting your bar high for 2016 like big gold foil numbers of the new year. 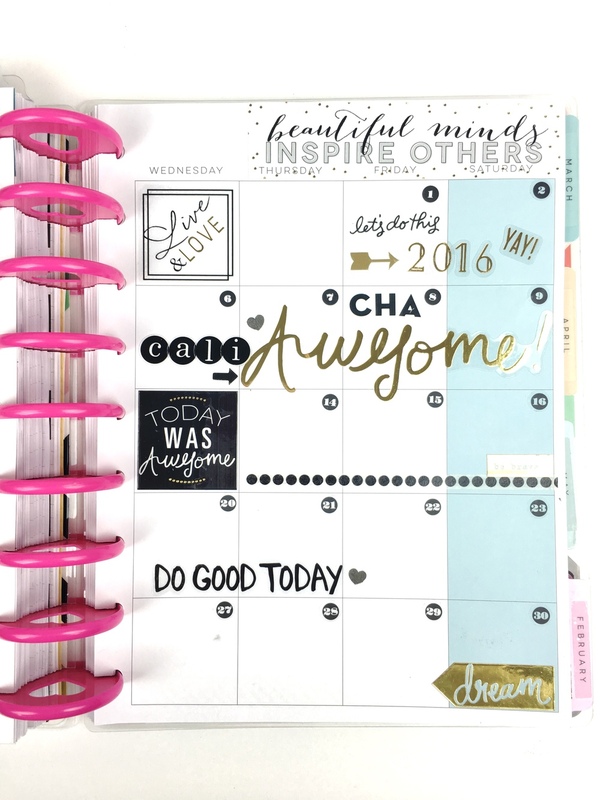 Shiny, bold, and prepped with positivity: that's how mambi Design Team member Chantal Stevens and her Happy Planner™ are entering January! 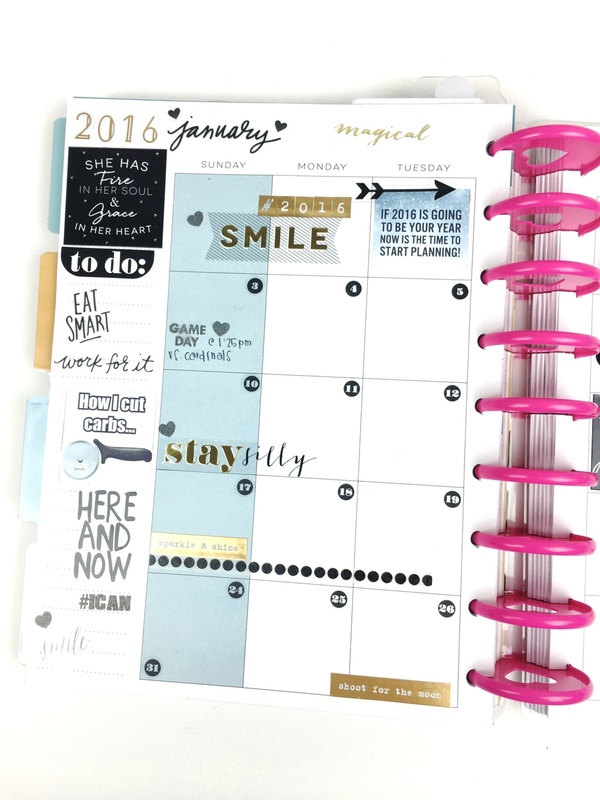 "My January layout is centered around my goals for 2016 as I am sure many of your layouts are. We have A LOT of big plans for the new year: wedding, rebuilding our home, preparing for a family (GASP!) so focus, motivation, happiness, and patience will be a huge theme for me. I spent a long time going through stickers and sayings that remind me of the person I want to be in the new year, whether it be remaining calm through the stress or bettering the person I was yesterday. I LOVE all of the stickers that I found and believe that they give a well-rounded representation of my goals for the new year. 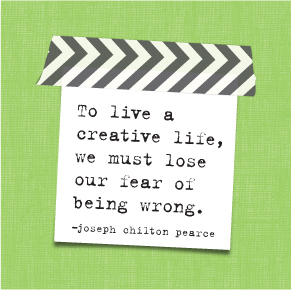 BRING IT ON 2016! I feel like I CANNOT go wrong with the all of the mambi products we will have available to us -- specifically the Wedding and Fitness Extension Packs. Woo hoo!"